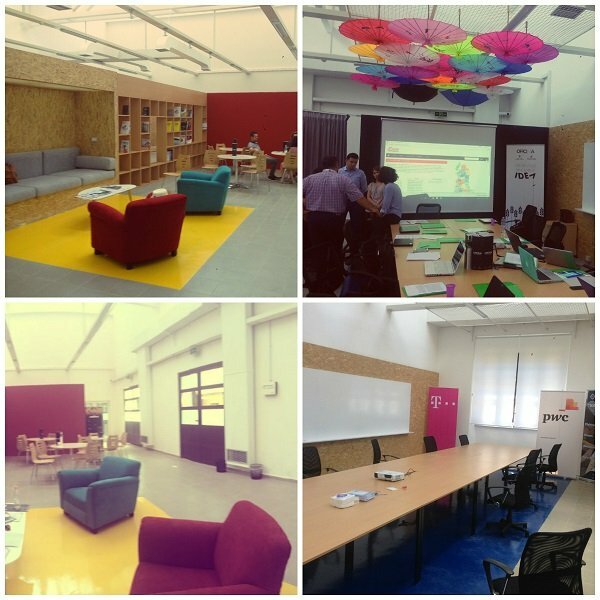 Ofiçina is a vibrant working environment in the heart of Tirana located in the workshops complex buildings of Harry Fultz Institute. 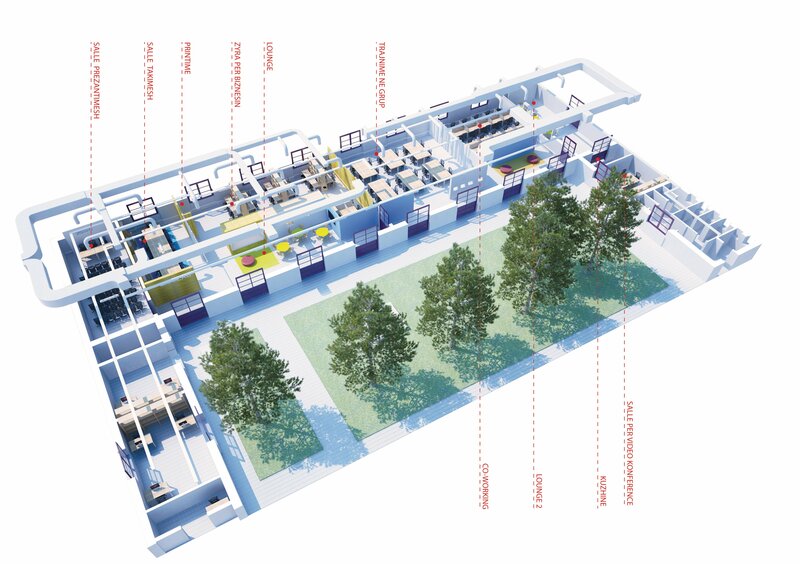 The center include co-working space with smart interior and modern office and meetings infrastructure and a series of indoor and outdoor facilities and recreational areas. It has a newly refurbished high ceiling 730 sqm structure surrounded by a large green area and dedicated parking. The Co-working space offers office desks set up and ready to use, including PC or lap top, broad band internet, printing, photocopying and teleconference facilities. 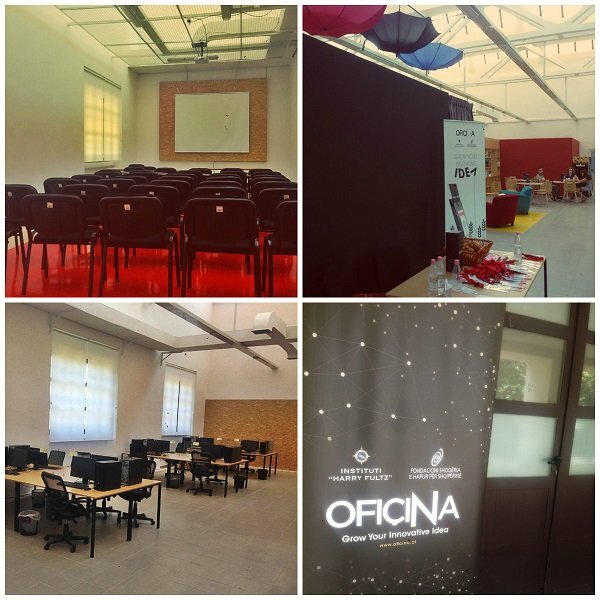 Ofiçina also include dedicated areas for project teams with all the facilities; a fully equipped large conference and exhibition space hosting up to 50 people as well as meeting and training rooms, teleconference studio, and lounges. There is broad band internet across the building and in the outdoor recreational areas. The space offers all the modern comfort yet maintain the spirit of the old workshop using recycled equipment from the old technical school that are embedded into its open and modern interior. Ofiçina is very well located near the center of Tirana offering excellent transport links with 2 bus stops are right at the entrance. Ofiçina itself offers parking space for up to 30 cars.